The AC condenser is the main part of your cooling system, it carries freon back and forth along the air conditioning system to provide optimal cooling. Since they carry freon, as well as other coolants, they are subject to various hazards. Your condenser can build up minerals, debris, and run less efficiently. If your cooling system is not running properly, the problem may be due to the condenser, requiring AC condensing unit repairs to correct the situation. 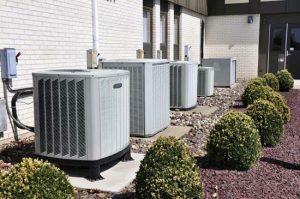 Our trusted technicians will work to repair the AC condensor as quickly and efficiently as possible in order to prevent any additional damages from occurring. We take pride in our guarantee that all air conditioning condensor repair services performed by us are properly executed. We understand you do not want the inconvenience of your air conditioning malfunctioning and we take all the steps necessary to ensure this does not happen.